The Aldi Medion 4″ Dual SIM Smart Phone is back in stock at Aldi this weekend (2nd November). We have reviewed this phone before, and quite liked it for a the price. This time around the phone has been reduced from $149 to $129, with the specifications remaining the same as when originally released back in July. This is a good basic starter or second phone for the price, and probably won’t last long at $129. 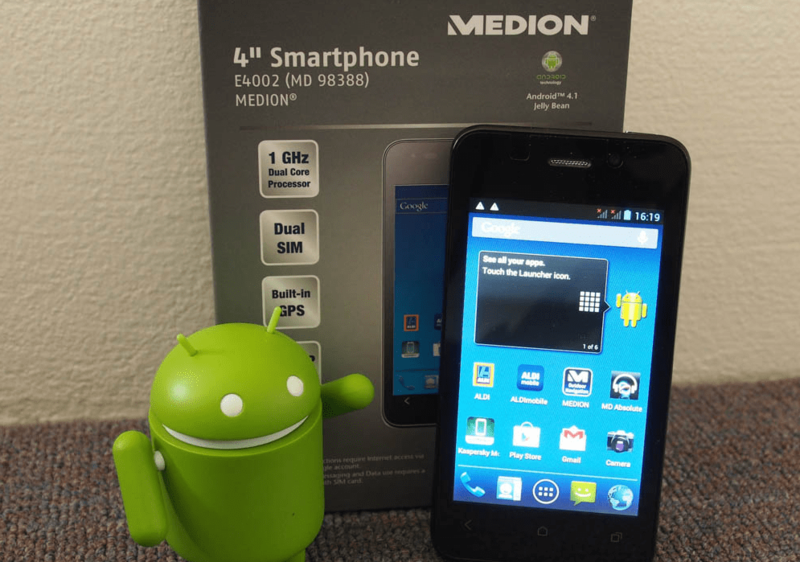 Do you have a Medion 4″ Smart Phone? How do you like it? Let us know in the comments! I bought one of these and took it back within a couple of days. The viewing angle is terrible (to be expected at this price), but there were two deal breakers. The first is that there is only enough space to install maybe five or six small apps, or three or four larger ones from memory. Facebook is a large one. The second issue was to do with the touchscreen when playing some games. I tried playing Raiden and the plane would always move straight to the bottom left of the screen as soon as I touched the screen.